This one pass me. 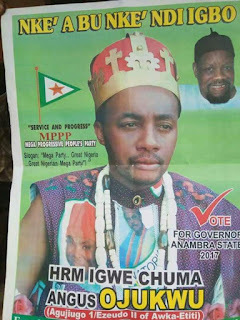 A viral photo of a man contesting 2017 governorship election in Anambra has got people talking. 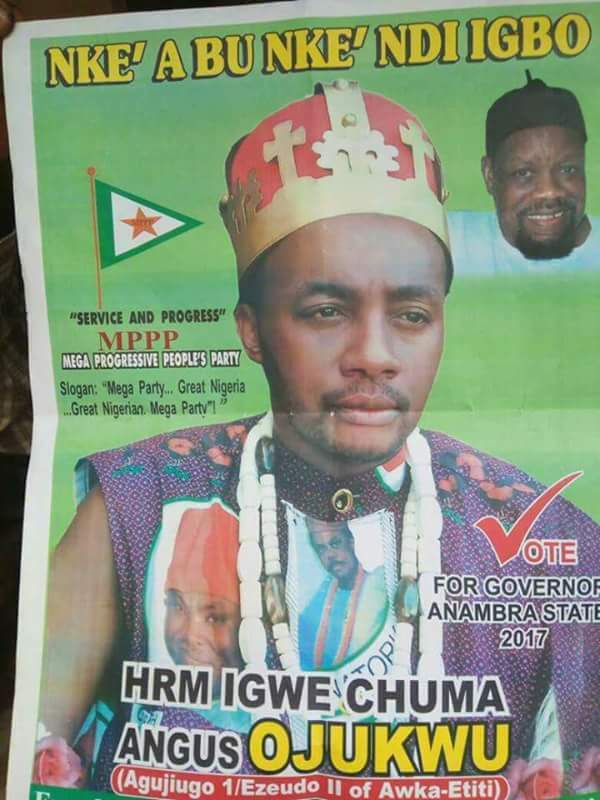 His outfit/HRM is very unusual for political aspirants in Nigeria.